Many, many people in Florida get arrested for driving while on a suspended, revoked or canceled license and a Tampa Criminal Defense Attorney can help you reinstate your driver’s license if it has been suspended. Florida has traditionally suspended people’s license for not “too many points” and Driving Under the Influence (DUI or DWI) or lack of insurance, but, unfortunately, also for possession of controlled substances (marijuana, cocaine or other drugs), petit theft, worthless checks, and child support. Frankly, almost any criminal moving violation can suspend your driver’s license. It is very important to know that there are two (2) types of driving on a suspended license. The first is driving on a suspended license without knowledge which is a civil infraction. The second is driving on a suspended license with knowledge which is a criminal offense and is punishable with incarceration of up to 60-days in jail. 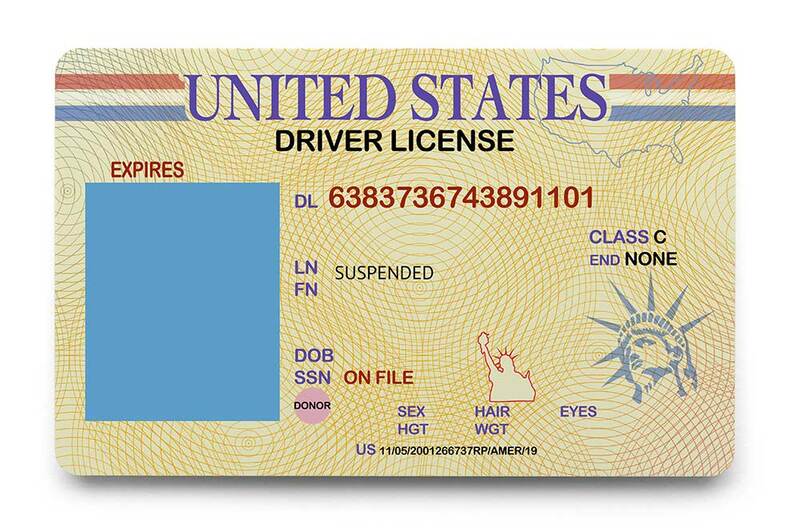 Driving on a suspended license with knowledge can result in incarceration and further suspension of your license and maybe either a misdemeanor or felony depending on why it was suspended. Three major offenses in the State of Florida such as leaving the scene of an accident, driving on suspended license or reckless driving can result in your becoming a habitual traffic offender (HTO). If you have become a habitual traffic offender, we may be able to assist you in getting this designation removed and getting your license back. We have handled thousands of driving on suspended charges and have intricate knowledge of the driver’s license system in the State of Florida. Put our experience to work for you today and start driving again immediately. Call 813-229-5353 or contact us to speak with a criminal defense lawyer now on your license suspension or allegation of driving while license suspended (DWLS). Is it a Civil or Criminal Charge? Driving with a suspended license in Florida can be a criminal or civil charge under Florida Statute 322.34. Either charge is a serious offense which can affect your ability to regain your license. At the law firm of Fernandez and Hernandez, LLC, we represent individuals charged with a crime including driving while license is suspended throughout the State of Florida. Driving while license suspended WITHOUT knowledge is a civil infraction which can add points to your license and lead to your license being suspended in the future. When Can a License be Suspended? If a driver has knowledge that his or her license was suspended and gets pulled over while driving, the officer will issue a criminal ticket for driving while license suspended. YOU COULD GET ARRESTED! The police may arrest the driver. A first offense for knowingly driving while license suspended is a second degree misdemeanor. Second offense carries a maximum offense of one year in jail. If a driver has no knowledge that his or her license was suspended and gets pulled over driving, the officer should issue a civil traffic ticket. Unknowingly driving while license suspended is a moving violation that adds three points to a driver’s license and counts toward possible future suspensions under the habitual offender statute. The first offense is a second degree misdemeanor with a maximum penalty of 60 days in jail and a $500 fine. A second offense is a first degree misdemeanor with a maximum penalty of of 1 year in jail and a $1000 fine. A third offense is a third degree felony with a maximum penalty of 5 years in prison and a $5000 fine. Possible Habitual Traffic Offender Status may result from three or more Driving while license suspended convictions. Although not a criminal charge, unknowingly driving while license suspended is a serious offense. A conviction puts three points on a drivers license which may increase insurance rates, lead to a suspension for having too many points, and lead to suspension under Habitual Offender Statute. DO NOT DRIVE – Driving will only lead to further charges that are more serious. Contact a Tampa Suspended License Attorney – If you or someone you know is facing a Driving While License Suspended charge, contact a Tampa Suspended License Attorney today to go over the case. There may be defenses that apply, and we work to keep your record clean. We represent clients throughout Tampa, Hillsborough County and throughout the State of Florida. Tampa Criminal Defense Lawyers of Fernandez & Hernandez, LLC in Tampa provides legal representation for individuals charged with Driving while license suspended, revoked or canceled. We invite you to review our recent results. Our qualifications and background are available to you as well. Our Tampa Criminal Defense Attorneys Martin Hernandez and Daniel Fernandez are bilingual as well. Just call us at 813-229-5353 for your free consultation. The Tampa criminal defense lawyers of Fernandez & Hernandez, serve Florida communities including Tampa, Brandon, Carrollwood, Westchase, Riverview, Temple Terrace, Pasco, Pinellas, St. Petersburg, Clearwater, Lakeland, Plant City, Ruskin, Apollo Beach, Dover, Valrico, Lutz, Lakeland and many other neighborhoods in Tampa Bay area. Contact an Experienced Tampa Auto Accident Attorney from Fernandez & Hernandez Law. If you have been arrested for Driving While License Suspended in the Tampa Bay area, call Fernandez & Hernandez for a free consultation now. We recommend also reading reviews on Google Reviews, Avvo and Yelp.